Lynn Margulis, Distinguished University Professor in the Department of Geosciences, University of Massachusetts, Amherst, is a member of the National Academy of Sciences and the Russian Academy of Natural Science. She received a National Medal of Science from President Clinton in 2000. Dorion Sagan is author of Biospheres and Up from Dragons: The Evolution of Human Intelligence (with Dr. John Skoyles). Lynn Margulis and Dorian Sagan present an answer to the one enduring mystery of evolution that Charles Darwin could never solve: the source of the inherited variation that gives rise to new species. |These researchers argue that random mutation, long believed (but never demonstrated) to be the main source of genetic variation, is of only marginal importance. 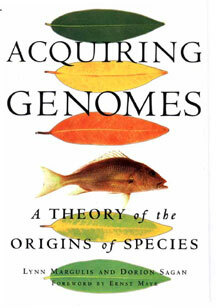 Much more significant is the acquisition of new genomes by symbiotic merger. The result of thirty years of delving into a vast, mostly arcane literature, this is the first attempt to go beyond  and reveal the severe limitations of  the dogmatic thinking that has dominated evolutionary biology for almost three generations. 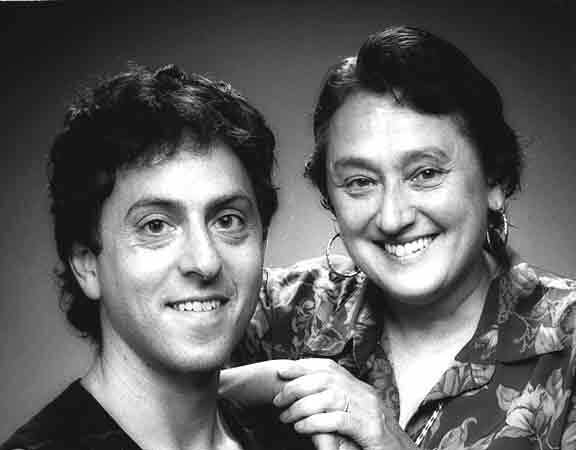 Lynn Margulis, whom E.O. Wilson called one of the most successful synthetic thinkers in modern biology, and her associate Dorian Sagan present a comprehensive and scientifically supported theory that directly challenges the assumptions we hold about the diversity of the living world.